Probably can still get more b!tches then u! Huh, I was so sure your mom would win. What fresh level of heck is this pupper from? @Azing, Cataracts, it's probably blind or pretty close. 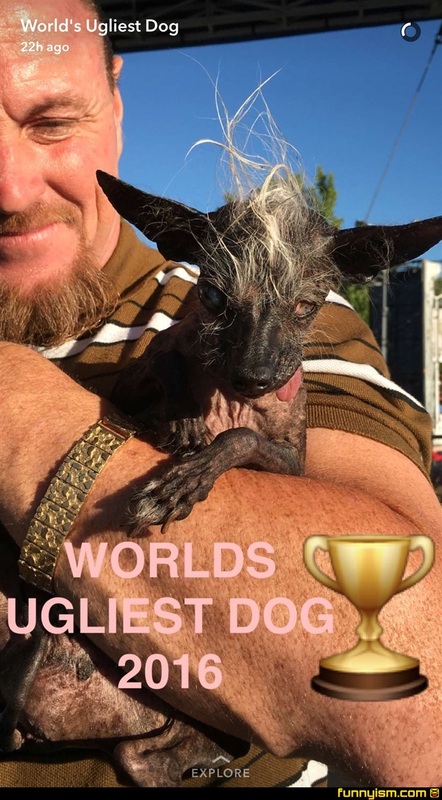 For some reason I think the ugly dogs are super cute. Like all ratty and blind, really pretty dogs are kind of intimidating. Dawww look at that little abomination! Sweet Jesus, that's not a dog. That's a mother trucking Gremlin! Keep it away from water! Was this genetically verified to be a dog? All I can think of is your mom jokes.